I was out visiting with my cousin today. Tania lives in a beautiful house nestled in at the foothills of the Southern Alps here in Canterbury. It's probably my favourite house in the world and I took some photographs of it, just to remember the feeling of it when I'm back in Belgium. 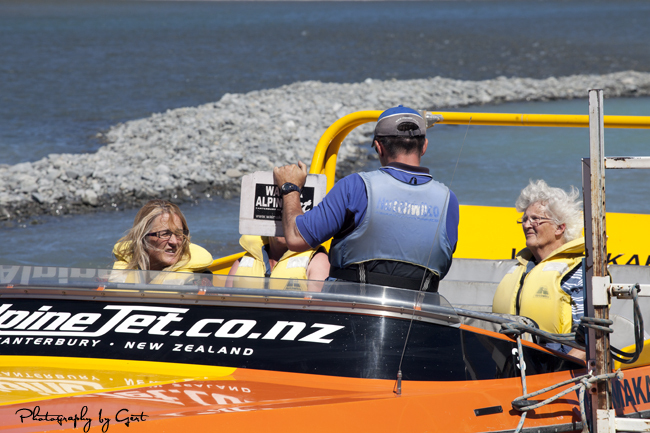 So Auntie Coral drove Gert and I out to Tania's and, upon arriving, Tania and Al announced that they had organised a ride for us on a Waimak Alpine Jetboat. I wasn't sure I was up for a ride on a jetboat that had an '8.1 litre engine and a cruising speed of 80+ kilometers per hour.' It all seemed a bit fast and slightly insane. It turns out that my favourite thing on that wild ride up the turquoise-blue Waimakariri River, on this 29 celsius summer day, was that manoeuvre known as the HAMILTON 360º spin. It's that moment when the jet boat is spun out at full cruising speed and it feels divine. I'm so glad that it happened more than once too. It was bliss out there in that world only accessible by boat. And I can't recommend this jetboat operator highly enough ... and our driver, Greg, he was simply superb. 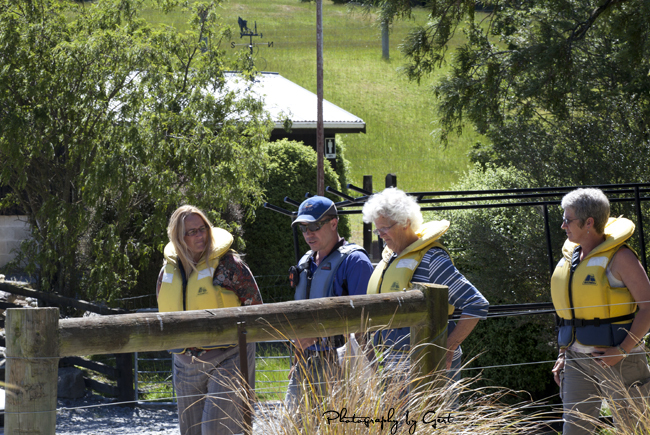 A lovely Kiwi bloke who made us laugh often but also earned our trust with his professionalism, and his knowledge of the river. The photo at the start of this post is one that captures that moment when Greg was talking of the 360º spin and the need to hold on ... Gert couldn't come on the boat trip today but he was happy to wait on the bank and take more than a few beautiful photographs. It was a grand day out here in New Zealand. Thank you to Tania and Al, who made it all happen. I loved it ... intensely, immensely.